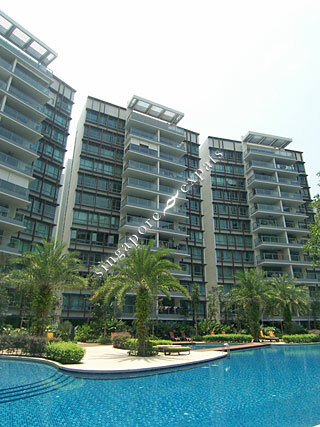 DOUBLE BAY RESIDENCES is located at 17 - 21D SIMEI STREET 4 in district 18 (Pasir Ris, Simei, Tampines) of Singapore. DOUBLE BAY RESIDENCES is a 99-year Leasehold Condo development consisting of 646 units. DOUBLE BAY RESIDENCES is completed / TOP in 2012 (estimated), developed by SECURE VENTURE DEVELOPMENT (SIMEI) PTE LTD.
Educational institutions like ONE WORLD INTERNATIONAL SCHOOL, UNITED WORLD COLLEGE OF SOUTH EAST ASIA (EAST), NPS INTERNATIONAL SCHOOL, CHANGKAT PRIMARY SCHOOL, QIAONAN PRIMARY SCHOOL and GRIFFITHS PRIMARY SCHOOL are near to DOUBLE BAY RESIDENCES. DOUBLE BAY RESIDENCES is accessible via nearby SIMEI, UPPER CHANGI and EXPO MRT Stations. Very convenient to Simei MRT, only a few mins walk. Near to Eastpoint Mall, and excellent landscaping. Near to SUTD University. Near to Changi Hospital. Next to Park connector. People hanging their laundry on their balcony giving the image of HDB more than a luxury condo as it claims. Asking price is excessively overpriced at this current moment. Condo management at the moment is amateur and inexperienced.